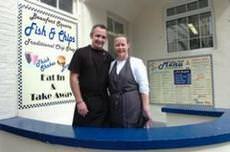 A page on TigerLocal will showcase your business to hundreds of local people looking for a fish and chip shop. So you'll get serious enquiries from new customers. 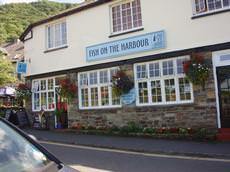 Beaufort Square Fish and Chips shop is a family run traditional fish and chip shop in the picturesque town of Chepstow. No fancy packaging, no over inflated prices just good old fashioned fish and chips. 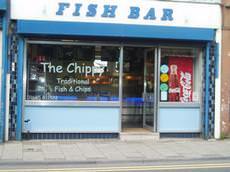 We look forward to making your visit to Fish Chip 'n' Dip a memorable one and hope that through our policy of providing all customers with the same excellent standards of service and using only the freshest of local seafood. Fish on the harbour is a lovely listed building seating indoors aproximately 50 and outside in the tea garden aproximately 60. 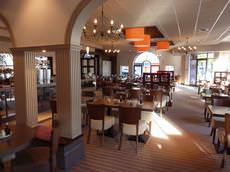 Licensed restaurant serving draught Carlsberg, draught cider, a range of wines, bottled ales and more. 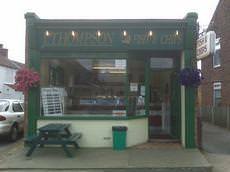 Since its opening 22 years ago the Olympus Restaurant and takeaway have become a firm favourite with Bolton residents and tourists. The Olympus is licensed, conveniently placed near shops, the Octagon Theatre and market. 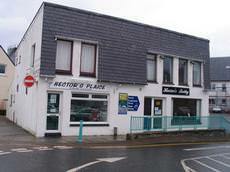 We are a small family run business and have been trading for 14 years. We cater for any occasion whether its large or small house parties, wedding receptions, sheltered housing, horse and dog shows and much much more. 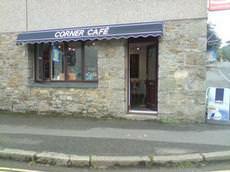 Come and visit us in the Cornish village of Praze an Beeble for a fabulous fish and chip dinner. There are plenty of other food and drinks for you to enjoy both hot and cold. 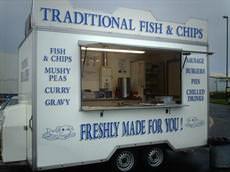 The Jolly Fryer is a traditional, mobile fish and chip enterprise. 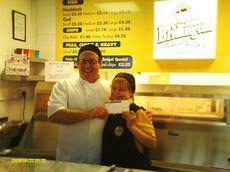 With a team of enthusiastic and friendly staff, we supply high quality fish and chips to local communities. 'Fish and Chips' is a quintessentially British dish that is eaten around the world, particularly in countries that were once colonised by Britain. 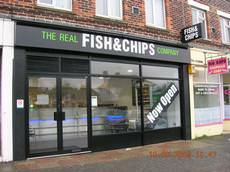 It remains an important part of culture in the United Kingdom, and as such there are many fish and chip restaurants and take-away outlets throughout the country. 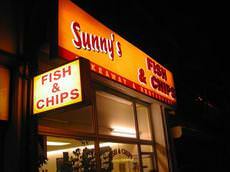 What is the history of Fish and chips? Trawl fishing in the UK developed rapidly in the 19th century, and with it the combination of fish with chips became a simple working class meal across the country. 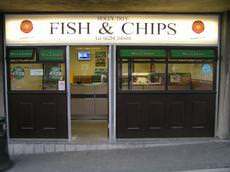 In 1860, the first fish and chip shop opened in London, where the fish was said to be deep fried in a 'Jewish fashion'. Does fish and chips come from Scotland or England? The four corners of the United Kingdom all have their own legends about how the industry burgeoned, but it is likely that a fusion of the preparation methods both north and south of the border led to the fish and chips shops we currently know. These preparation methods themselves probably came from the continent. How did the Second World War affect fish and chips? Before the Second World War, the establishments serving fish and chips were very basic, and had a reputation for being uncouth, emitting a smell and being frequented mainly by the working class. As fish and chips were some of the few foods that were not rationed during the Second World War, the food blossomed, becoming more refined and acceptable for the upper classes to eat. 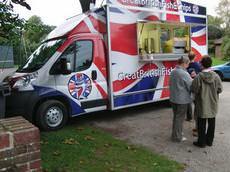 It is often said that fish and chips helped Britain get through the Second World War. What oil is used in making fish and chips? Traditionally lard or beef dripping was used in the frying of fish and chips, but now vegetable oil dominates. In Northern Ireland, it is still common to get fish and chips made with lard or dripping, but this makes the food unsuitable for vegetarians. How thick should the chips be? Although American chains tend to sell chips which are thin in shape, the British chip tends to be much thicker. The oil does not penetrate far into the chip, and therefore can taste less oily than a French fry. They are also, in comparison, more healthy that French fries, but require longer to cook through. What is in the batter on the fish? A few proprietors will use beer or milk batter, which will create a very light batter on the fish. However, the vast majority of UK chip shops will serve a batter made simply from water, flour, baking soda and vinegar. Which fish is used in fish and chips? Haddock and cod are the most traditional fishes you will find served in a fish and chip shop, but as these fishes have recently become more expensive you may also be served other types of white fish â€“ pollock, skate or plaice. Where you are in the country will dictate these options, as the local catch can be cheaper for the fish and chip establishment to source.